'X Factor' Winner James Arthur Sued 'Say You Won't' Steal My Song! British musician James Arthur straight-up jacked another band's song and twisted it into his own hit ... according to a new lawsuit. 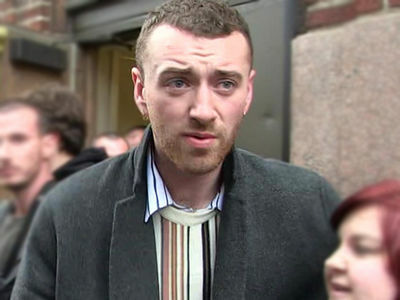 Arthur has been sued by musician Daniel O'Donoghue, who's got a song with his band, The Script, called "The Man Who Can't Be Moved," which he claims Arthur ripped off in making his own song, "Say You Won't Let Go." The former dropped in 2008, and the latter in 2016. O'Donoghue says Arthur used a very similar melody and tempo in his song, and claims it's infringing on his original work. O'Donoghue says Arthur approached him and his band after Arthur was dropped by his label in 2014, trying to talk ideas for a comeback song. He says they denied the meeting, and somehow Arthur came out with "Say You Won't Let Go" 2 years later. Interestingly enough, both men have ties to British talent shows -- O'Donoghue's a voice coach on the UK's 'The Voice,' and Arthur won the UK's 'X Factor' in 2012. Take a listen for your self.